Below I've listed the average GMAT score of MBA students in non-US programs along with some other useful information. Another point of information listed below is the middle 80% range. In general, the middle 80% range GMAT score is what you need to be in to get into a school. If you have a score lower than the middle 80% range for a certain school the probability of you getting into that school is small. On the other hand if you have a score that is higher than the 80% range then your GMAT score is definitely not going to keep you out of the school (although other parts of your application still can). 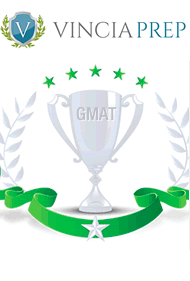 The information comes from several different sources including http://www.beatthegmat.com/mba/school, mba.gmatcat.com/, and http://www.businessweek.com/bschools/rankings. All of the school names that have have a star next to them come from the 2010 class, whereas the statistics for schools that don't have a star by their name come from 2013. For the statistics that come from 2010 you can be pretty sure that the average GMAT score should be about 10 points higher since most schools have seen about a 10 point increase in their GMAT scores over the last 4 years. If not, how are applicants' quantitative abilities checked before enrollment?